Create a piece of writing that encompasses the twelve hours between 8pm on a Saturday evening and 8am on the following Sunday morning. The word limit is 720 (equivalent to the 720 minutes in the 12 hours between 8pm and 8am). The story must be about Nottingham, its people, places, heritage or a contemporary aspect. The city is yours to make it and its people come to life as you weave your story about any aspect between evening and morning. Prize money may be more, depending on number of entries. All entries need to be submitted by Friday 31 October 2014. Entry fee £3 per submission. Each entry must be submitted separately. No more than three entries allowed per person. You must be 18+ on the day of submission and live or work in the East Midlands. Entries must not exceed 720 words, and may be in the form of poems, fiction, travel writing, or other creative non-fiction. They must relate in some way to Saturday Night, Sunday Morning. Entries should not have been previously published in print or online. Entries must be made by email to ObscureEmail_1 in text, PDF, or Microsoft Word format. Entrants must state name, address, and contact email on the first page. Nottingham Festival of Words will disqualify any entrant if they have reasonable grounds to believe that an entrant has breached any of the rules, any applicable law (including copyright law) or has otherwise infringed the intellectual property of any other person. Prize winners will be notified by email by mid-November. Prize winners will be announced at a special event in November. Entrants will retain ownership of copyright but by entering the competition entrants give rights to Nottingham Festival of Words Ltd to publish any entries at any time, and upload onto the Festival website or publish in an anthology should this be decided by the Festival management. 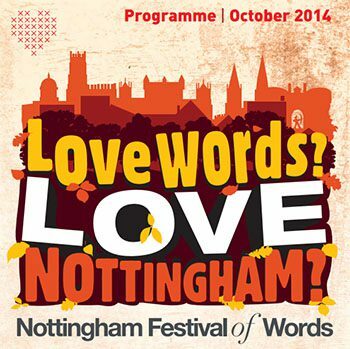 Prize winners will be expected to co-operate with Nottingham Festival of Words Ltd by participating in any reasonable post-competition publicity.